Successful management of our increasingly diverse workforce is one of the most important challenges facing organizations today. 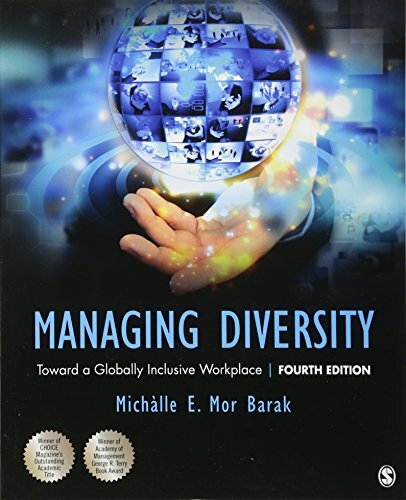 In the Fourth Edition of her award-winning text, Managing Diversity, authorMichàlle E. Mor Barak argues that inclusion is the key to unleashing the potential embedded in a multicultural workforce. This thoroughly updated new edition includes the latest research, statistics, policy, and case examples. A new chapter on inclusive leadership explores the diversity paradox and unpacks howleaders can leverage diversity to increase innovation and creativityfor competitive advantage. A new chapter devoted to “Practical Steps for Creating an Inclusive Workplace”presents a four-stage intervention and implementation model with accompanying scales that can been used to assess inclusion in the workplace, making this the most practical edition ever.